With the new school year about to begin, students and teachers have plenty of back to school shopping to do. Everyone needs new supplies like notebooks, pens, folders, pencils, and more. But it’s not just supplies that people are shopping for. Everyone wants to look their best and dress to impress, whether it’s a teacher wanting to make a good first impression on her co-workers and students or a student wanting to show off to her friends, as well as make new ones. At URBANfusion, the PANDORA certified gift boutique in Skippack, PA, they have a wide variety of new back-to-school-themed charms that women can add to their collection. PANDORA makes these individual charms for every letter of the alphabet out of clear cubic zirconia. Put together the first three letters to create a great gift set for those teachers in early childhood education. 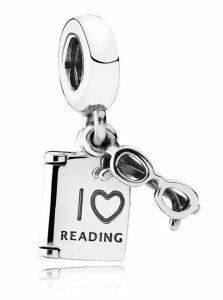 The I Love Reading charm has a book and a pair of glasses dangling from it. Any avid reader or writer would be thrilled to add this to her favorite PANDORA bracelet or necklace. 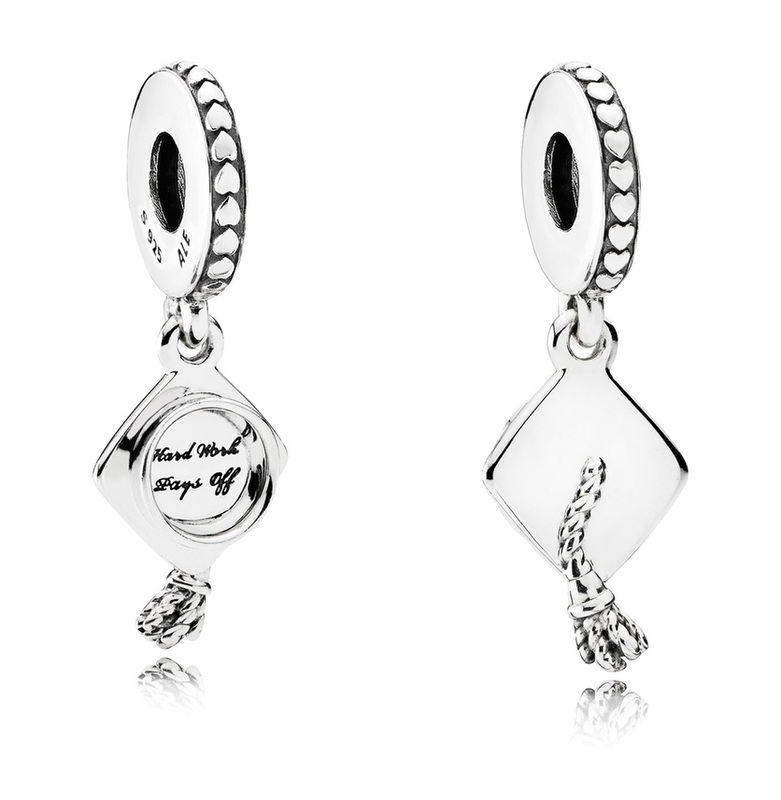 The Graduation Cap dangle charm is made of sterling silver. Underneath the hat, the words “Hard Work Pays Off” are engraved. Any girl would love to receive this to add to her PANDORA collection upon graduating high school or college! Or, she can use it as motivation to pursue her degree! 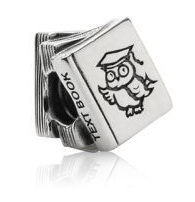 This Study Books With Owl charm consists of a pile three sterling silver textbooks, with an owl wearing a graduation cap on the cover of the top textbook. Congratulate your loved one for acing an exam or wishing them good luck on the upcoming term! We also have charms to match the colors of popular school and sororities. If you have a daughter or someone else close to you who is about to go back to school as a student or a teacher, and you want to buy her something special, visit the PANDORA-certified jewelry boutique in Skippack, PA, URBANfusion. To purchase one of the charms above, or to find out more about others like them, please call us at 610-572-1326 or continue browsing our website.